YESAC is delivering more than 3,000 sets of carts, pallets and racks to our customers every year. Our prompt actions help increase our customer's efficiency and meet their important milestones. YESAC provides various carriers with very precision part location which is an important factory automated process at customer's site. 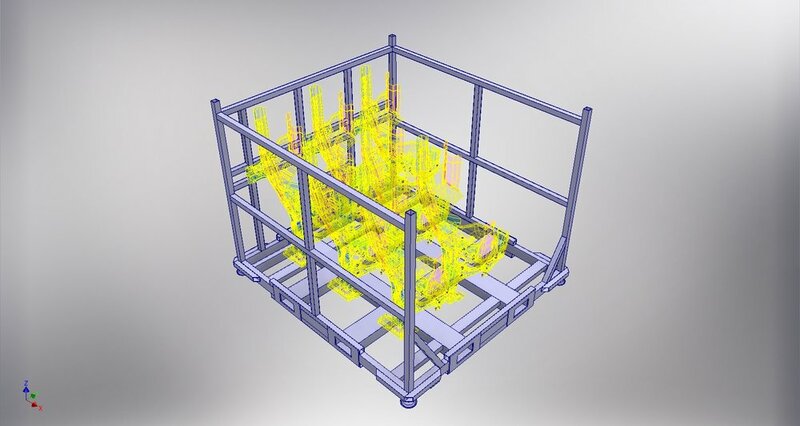 Check out the video to see how we check the accuracy of pallets with our 3D vision system. YESAC will provide 3D designs for you in order to help you determine how you could better load or unload your parts. Automatic loading & unloading by robot. 3D Modeling helps to secure the part correctly. 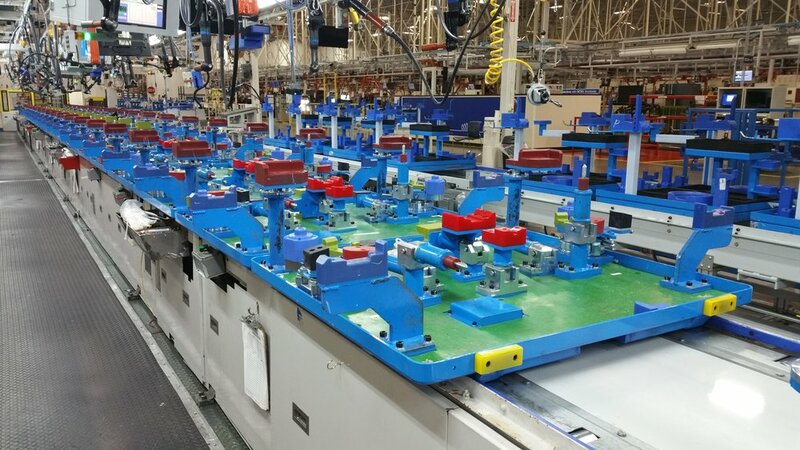 Most automatic pallets are inspected and verified before it comes in production. Automatic pallets with actual parts in production line. 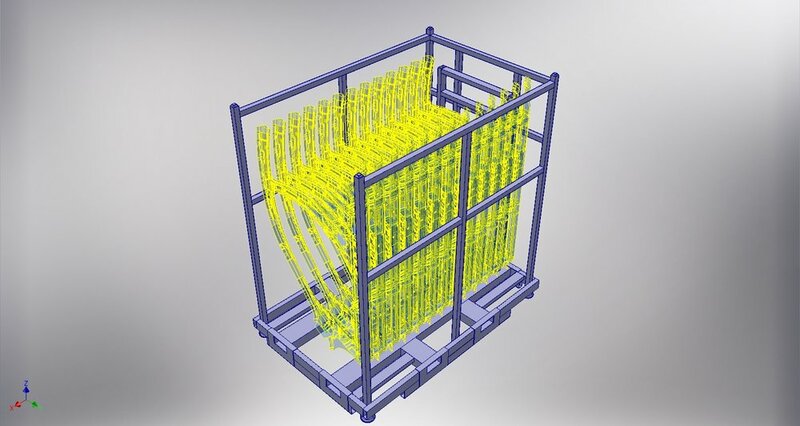 Accurate design assembly skids help mixed-flow production. YESAC Also provides simple static carts at reasonable cost.